Can you see yourself joining one of the country’s leading forces? This is your opportunity to transfer your skills and experience to West Midlands Police! We are in the middle of an exciting programme of development as we move towards our WMP2020 objectives – new ways of working and innovative technology are at the forefront of our thinking. Our vibrant region is also hosting the UK City of Culture in 2021 and the Commonwealth Games in 2022 – this is a great time to join us! The West Midlands is one of Europe’s most diverse and challenging policing environments, serving 2.8 million people in an area rich in diversity, with around 30 per cent of its population from ethnic minority backgrounds. Birmingham is also the youngest city in Europe, with under 25s accounting for nearly 40 per cent of its population. Our force values embody what we are, to apply you must have real passion for people and communities. You will have a desire to work alongside our local communities to build relationships and make a difference to the lives of people in the West Midlands. Policing the West Midlands is diverse and fast-paced. Careers with us are varied and demanding – but exciting too. From major incidents to community policing, every day is different and with events like Coventry City of Culture 2021 and Birmingham hosting the Commonwealth Games 2022 to prepare for, a career with WMP has lots to offer. We are committed to supporting you and have a comprehensive development programme across the Force. We are seeking experienced officers who are up for a challenge and wish to join the following specialist teams with the majority of roles being based within Birmingham. Enthusiastic PIP 2 qualified Detective Constables are invited to apply for an exciting opportunity to join us within our Investigation Teams. We are particularly interested in applications from those that have experience within a Public Protection Unit and have completed the Specialist Child Abuse Investigation Development Programme (SCAIDP). We are also seeking experienced officers that wish to join our Neighbourhood, Response and Economic Crime teams throughout Birmingham. 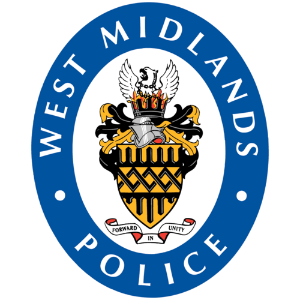 Please note West Midlands Police is currently only considering transfer applications at the rank of Constable. Applications will be considered from re-joiners who left the service less than 5 years ago at the time of appointment. If you left the service more than 5 years ago then we would welcome your application through our external recruitment process. Due to the necessity to conduct visits to victims, engage with offenders and undertake enquiries and actions alone, this role may not be suitable for officers with restrictions around public contact and confrontational roles. If you’re committed, enthusiastic and ready to join us in making the West Midlands safer place apply now. Diversity and Inclusion Vision: “Maximise the potential of people from all backgrounds through a culture of fairness and inclusion to deliver the best service for our communities”.